Spring is almost here, which means that flowers are just starting to bloom. Whether you like to grow flowers to decorate your landscape or to add a bouquet to your kitchen table, flowers are versatile, especially in your kitchen. Did you know that most of the flowers we grow in our gardens are actually edible? It's true! Flowers aren't just for decorating and looking pretty-some flower varieties are completely edible and dang delicious. But before you start grabbing flowers out of the ground and chomping away, there's a few things you have to be careful of before indulging in floral flavor. First and foremost, only eat flowers which have not been treated with pesticides. You can either grow your own or buy the flowers in the store. Skip over the florist area in the grocery store and head directly to the produce. The flowers you are able to buy in bunches are usually treated and are not edible. Like the chart from ProFlowers, here's a list of some popular flowers which are both edible and beautiful. Each flower has a distinct taste which can either be used as decor in a dish or used as a flavoring agent. Flowers like violets, violas, micro dianthus, karma orchid, and corn flowers look great on a cake. While marigolds, chrysanthemums, carnations, and borage blossoms are the perfect garnish in salads. The borage blossom even has a taste somewhat like a cucumber, elevating the salad in both looks and taste. Preparing something special to drink? 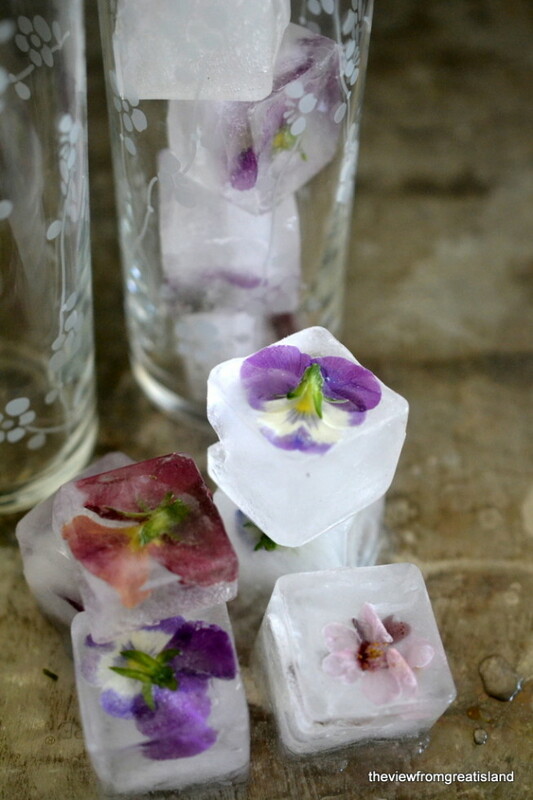 Fill your ice cube tray with rose petals, elderflowers, violas and micro dianthus. Fill with water (or some punch) and freeze to make beautiful ice cubes. Your guests will swoon over this fancy punch. Looking for some more edible flower inspiration? Check out some of these recipes. 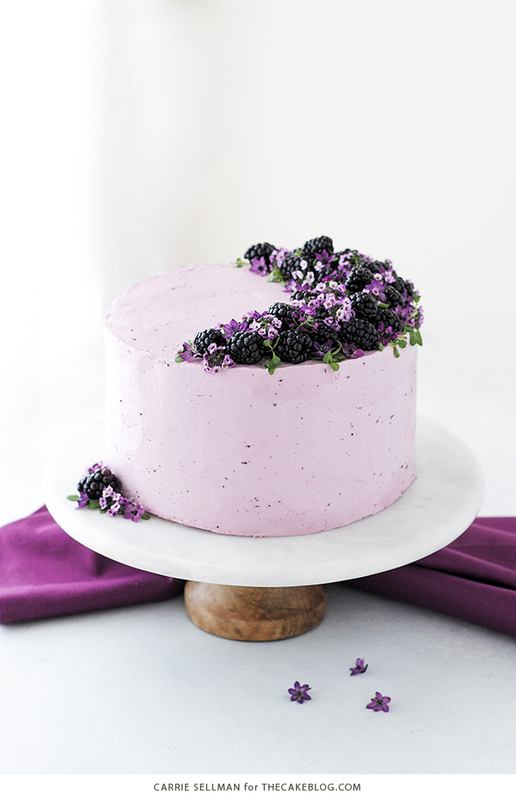 This blackberry cake totally screams spring. Decorated with micro pepper, alyssum and micro mint, along with blackberries, this cake is simple yet refined. It shows how much of a difference a little sprinkling of edible flowers goes. Topped with pansies, nasturtiums and carnations, this granola bowl is sure to put a spring in your step. (Yes, I know that pun was horrible). 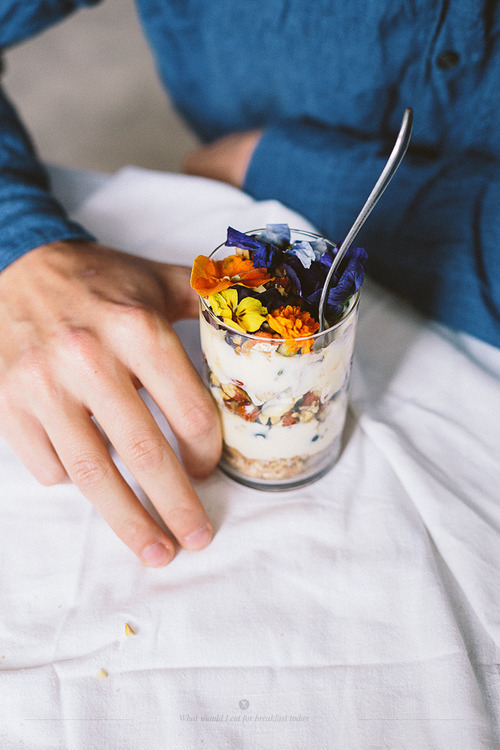 Make up a batch of lemon yogurt creme and layer it in a tall glass with homemade granola. Top with edible flowers and eat to your heart's content. When speaking of edible flowers you can't forget zucchini blossoms. While they can be stuffed and fried, the squash blossoms in this recipe are used as an edible garnish for this creamy and slightly spicy soup. Isn't this plate so colorful? Farro is boiled then scattered around heirloom tomato slices and topped with violas. The great thing about pansies is all of the colors the flower can be. From yellow to purple and every color in-between, pansies add a great flavor to any salad or soup. This is the easiest recipe ever! Simply place edible flowers like roses, pansies, nasturtiums, marigolds, violets and geraniums in an ice cube tray and cover with distilled water. Once frozen, pop out the ice cubes and serve in cocktails or a lavender lemonade.